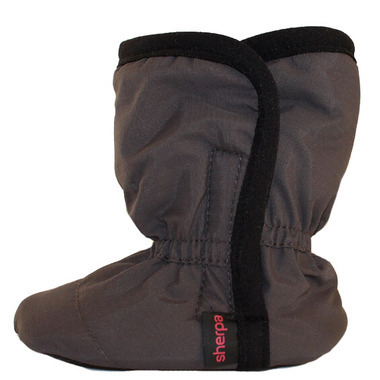 Sherpa Moki Originals are waterproof and windproof and great for indoor/ outdoor wear. The fleece lining makes the slippers warm and cozy while the Powderfill traps in the heat and promotes a healthy evacuation of moisture. The non- slip sole is flexible and durable. Slippers have an elastic ankle band for easy access and it’s wide opening makes it easy to slip on. Perfect for small chilly feet!